This eating spoon features an asymmetric handle design with chip carved half-stars. The wood comes from a zelkova tree, which is a Japanese relative of the elm tree. 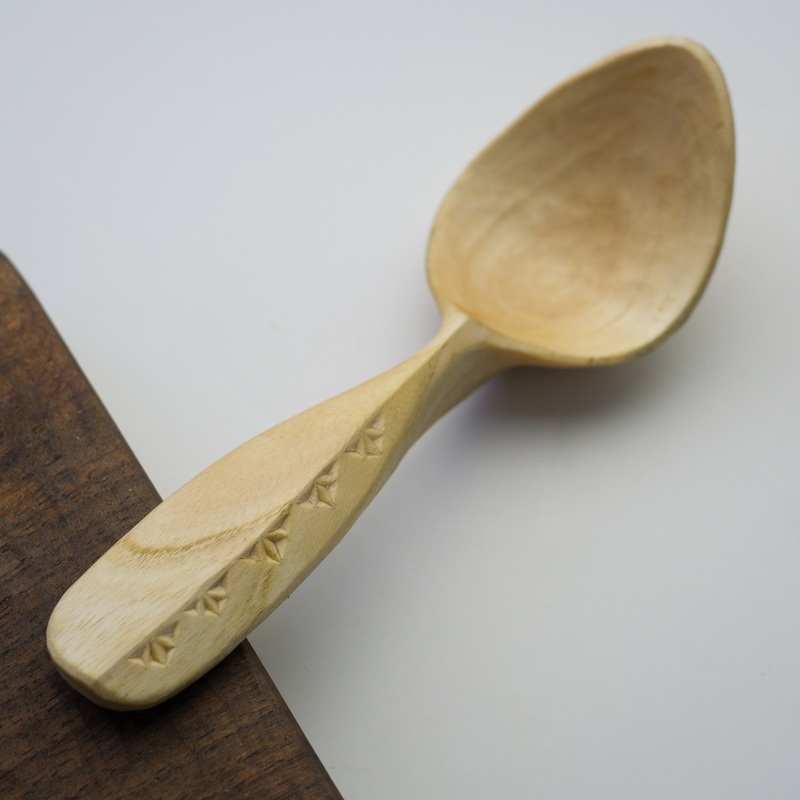 This wood is very tough and dense, which gives the spoon a wonderfully smooth finish.